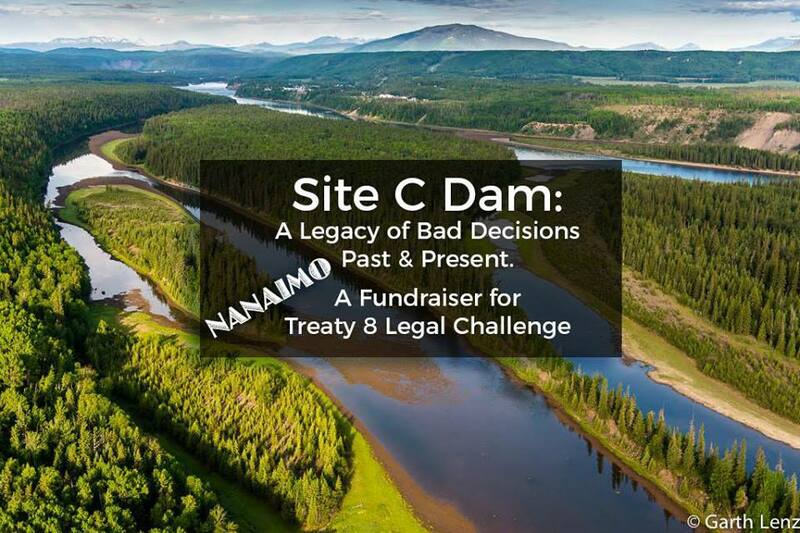 Building the controversial Site C dam on the Peace River is not only extremely costly (currently $2 billion over budget) and floods indigenous territory and prime agricultural land (we can’t eat electricity) it also kills low-impact, truly green and locally produced electricity! Speakers will include retired economist and BC Hydro analyst, Erik Andersen, and Ken Boon of the Peace Valley Landowners’ Association (PVLA). Chief Roland Wilson of the West Moberly First Nation will be live by Skype and will talk about the legal challenge as well as taking some questions. There will also be a video of world-renowned energy economist Robert McCullough refuting a letter written by NDP MLA David Eby on the cabinet’s reasons for continuing with Site C dam project. Free entrance. Donations will go towards financial support for legal challenges by the West Moberly and Prophet River First Nations, and the Peace Valley Landowners’ Association.